Anti-Semitism, the long-standing Western disease, is burning again before it gets healed. Christianity, no doubt, is the main address and the birthplace of systematic ill-will and violence against the Jews. It is only natural that from time to time such a self-defeating emotion gets stronger in Christian societies. Muslim hatred of Jews is often protected in a Christian atmosphere, and the disease will persist as long as the Church-inspired nations refuse to make a self-criticism. They must place the ethics of life above sectarian interests and political power-struggle. Western culture will have to undergo significant changes before it learns to have more respect for truth, for intercultural diversity, and for the Jewish nation. Europe and the USA have quite a few lessons to learn in that department. The situation is different and better outside the Western culture. It is more than a political and commercial fact. Pre-Christian wisdom traditions have many a point in common with Jewish philosophy. Israeli partnership with non-Christian countries has a bright future ahead for a number of reasons. And Eastern nations play an increasingly visible role in the destiny of mankind. It’s no use trying to deny that, and Russia, one should remember, is half-Asiatic. Those who would like to prevent the appearance of uncontrolled social-psychological mechanisms of fear and unrestrained military ambitions around the world in the years ahead can easily understand that it is not a healthy option to have a long, enduring nuclear arms race in the Middle East. A threat in the air is sometimes worse than its actual fulfilment. Yet the shadow of nuclear war is floating over the Middle East already, in April 2015, and it should be dispelled before its fallout rains down onto outer reality. The health consequences for human population in the Middle East and Europe in case of a nuclear war are rather unthinkable – not to speak of animal and vegetable realms. It would be a large scale genocide across national and religious boundaries. Nuclear bombs are not local events. They are global. Other continents would get a severe fallout too. We must remember for instance Chernobyl, which was not even a bomb, but merely a peaceful accident. It would be unrealistic to expect that the Jews will necessarily keep quiet while waiting for the Iranian bomb to be completed. Time has passed: no one is in the 1930s any longer. Israel is not weak and it is not alone. It may have as many true friends now as in any other time. But as the Middle East gets closer to completing the first 70 years-cycle since 1948, Israel is paying the price for its growing importance in the world. The old politics of hypocrisy cannot be efficient in our planetary village any longer. Transparency is unavoidable in the 21st century, and this circumstance paves the way to a multidimensional strengthening of humanistic values. One should be prepared to walk a thorny path during the transitional awakening. Inter-cultural respect is of decisive importance in the Middle East and around the world. Moderation in words enables one to be firm in substance, while preserving good will. Egyptian cooperation with Israel, for instance, is most significant. It is not necessarily obvious, and there is no propaganda around it. Its silent nature may only add to its effectiveness. If Israel, Egypt, Saudi Arabia and other moderate Arab countries show they have a common ground and mean business, the USA may be forced to change course and stop appeasing the Iranian Ayatollahs. But Washington will need to see substantial facts of a preparatory nature, before it comes back to common sense and admits its mistake. In inducing Washington to change course, Israel and moderate Arab states must avoid humiliating it. One must preserve the dignity of one’s adversary, and lead him into an honest policy – and not force him to radical or desperate measures. In the Middle East and around the globe, a lasting safety for nations must result from mutual good will and from a balanced relationship. There seems to be no cultural possibilities for cooperation between Israel and Hamas’ leaders or the Palestinian Authority. There is no point in talking to people whose main goal is to deceive and destroy you. On the other hand, important sections of the Arab population in the region do respect and cooperate with Israel, and are benefitted by it. Such a grassroots goodwill gives us a correct portrait of the future in the region. While the policies of appeasement regarding terror or hatred-based campaigns are of no use, a community level inter-cultural cooperation must be forcefully expanded in the years ahead by those who want harmony in the Middle East. With regard to the challenges faced by Israel in 2015, the planetary citizens might want to consider adopting the “tragic optimism” taught by Viktor Frankl. Positive thinking is a duty, and it includes a severe examination of the dangers involved in the act of living. A well-known story illustrates that. At some point in the last two millennia, at a time that cannot be disclosed, a group of elderly men gathered each morning at a certain café in Tel Aviv. Optimism may seem to be naïve and ridicule, if one looks at external facts from the point of view of one’s vulnerabilities. A confident look at life is unavoidable when we see outer reality from the point of view of the harmony in our heart. The contrast between one’s inner peace and the outer facts is often sharp, and painful. Knowledge is inseparable from duty. The deeper the ethics of a nation or individual, the greater its, or his, responsibility for the future. Having been the object of an indescribable persecution for almost 2,000 years, the Jewish people has with it a large part of human impulse for redemption. Life is about ethics, duty, justice and responsibility; and not every new springtime starts always with fine weather. “Israel Joins China-based Fund Boycotted by US”, in “The Times of Israel”, April 2, 2015: http://www.timesofisrael.com/israel-joins-china-based-asian-investment-bank/ . “Jewish Humor”, by Rabbi Joseph Telushkin, Harper, copyright 1992, 237 pp., see p. 26. “Ethics From the Sinai”, An Eclectic, Wide-Ranging Commentary on the Pirke Avoth, by Irving M. Bunim, Philipp Feldheim, Inc., New York, copyright 1964, three-volume edition, see volume 3, p. 7. “Ethics From the Sinai”, volume 3, p. 8. 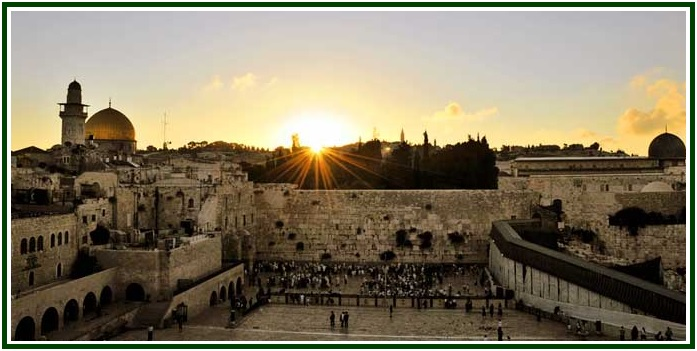 The above text was first published in April 2015 at a theosophical blog in “The Times of Israel”: http://blogs.timesofisrael.com/challenge-and-optimism-in-israel/ .